Now, because I’m eating Keto, these can’t be your average, throw some almond milk and frozen strawberries in a blender type smoothies. When you’re eating Keto you need to have high fat, moderate protein and very limited carbs and sugar, so there are going to be some funky ingredients here. I’ve come to accept the fact that I will now be eating things like “collagen” and “golden flax meal”. I’ve lost 20 pounds. I can deal with a few weirdo ingredients. It’s a fair trade. However, I’m still a tad lazy, so I have to make sure that the recipes I make, especially if it’s a Keto Smoothie or Shake, are simple. Because if I’m going for a smoothie or a shake, it’s because I am too hot, too tired or too bored to cook something. The first recipe that I’ve found comes from Have Butter Will Travel. This is probably the simplest of the bunch, provided you have the Keto Perfect Chocolate Collagen on hand. The rest of the ingredients are stuff you probably have in the house. Okay, not everyone has frozen avocado on hand, but if you’re thinking about doing a Keto diet, you should. If you make that smoothie and are dying for other ways to use that Keto Perfect Chocolate Collagen, check out some of the other recipes from Have Butter Will Travel like this Creamy Keto Hot Chocolate and these Nutella Fat Bombs. 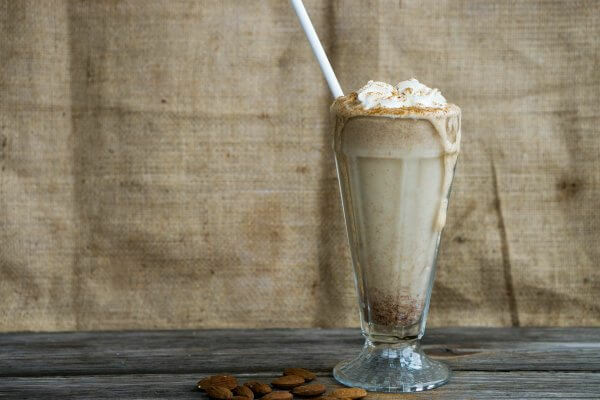 Matt and Megha from Keto Connect did a guest post on I Breathe I’m Hungry for a Cinnamon Almond Butter Keto Shake that looks totally mouth watering. Ok, so yes, this is the one with the Golden Flax Meal, but you can buy the stuff from Amazon, ok? You don’t even have to get off your couch. Is it cheap? No. Do you want to be thinner and healthier? Ok, then, shell out the $10. Poke around on Keto Connect and I Breathe I’m Hungry for more great Keto recipes. You won’t be disappointed. Ok, this last one does include Chia Seeds. To be honest, I’ve always been fascinated by these things. Or more aptly, I’ve always been fascinated by the fascination with Chia Seeds. I mean, who even decides which ones are the “Super Foods”? Is there a committee and what are the qualifications to be admitted to the committee? What are the qualifications for being a “Super Food”. Is there a cape involved? I want to know. 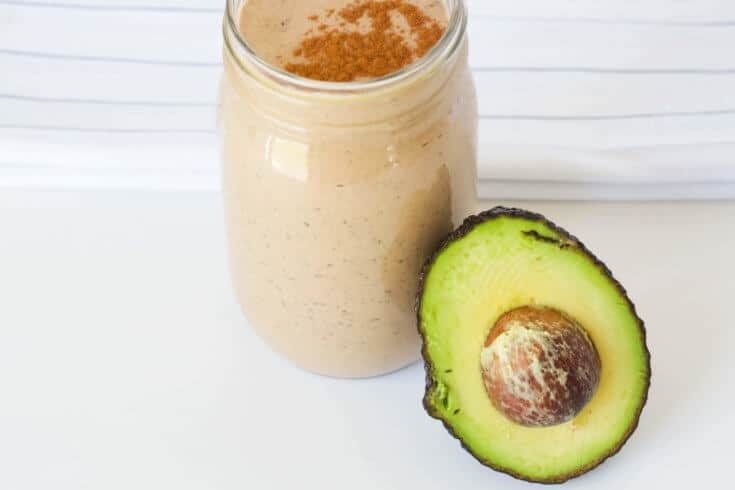 Anyhoo, this Keto Smoothie Recipe from Dr. Axe is certainly everything you want in a Keto friendly meal replacement. Lots of healthy fats, not a ton of carbs and very low in sugar. And doesn’t it look delicious? Do You Need to Learn More About Keto? 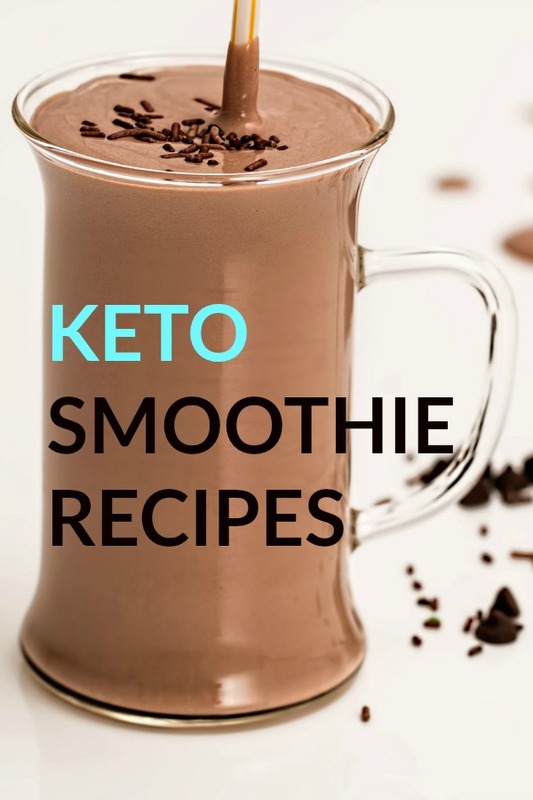 Having these three Keto Shake/Smoothie recipes and ingredients will help keep me in Ketosis. I always have a container of protein powder and some almond milk on hand, but if I’m not adding fat to that, then I’m going to have a hard time staying in Ketosis. How do I know this? Because Keto Bootstrap tells me so. If you’re interested in starting the Ketogenic diet, Keto Bootstrap is an excellent resource. It’s not terribly expensive and you get access to recipes, meal plans, shopping lists, work out challenges, a community and one on one support from Elisa, … It’s everything you need to get started with Keto. Keto can be complicated. There’s math involved, so, trust me, you don’t want to go this alone. It’s worth it, though. I’m 10 pounds from my pre-baby weight (shhh, my kids are 11 and 13, whatever, it’s a marathon not a sprint, ok?? ), I feel amazing. I know, I always hated people who talked about how “AMAZING” they feel, too. But, it’s a real thing and I think everyone should feel like this. I’m happier, I feel more confident, my old aches and pains are almost entirely gone. I have one nagging old gymnastics injury that I’ve learned to live with. We’re like old high school friends. She’s super annoying, but we share a history, ya know? So my best advice to you, is to join Keto Bootstrap. When you’ve got a question or you just can’t think of what to make for dinner, Keto Bootstrap will have the answers for you. 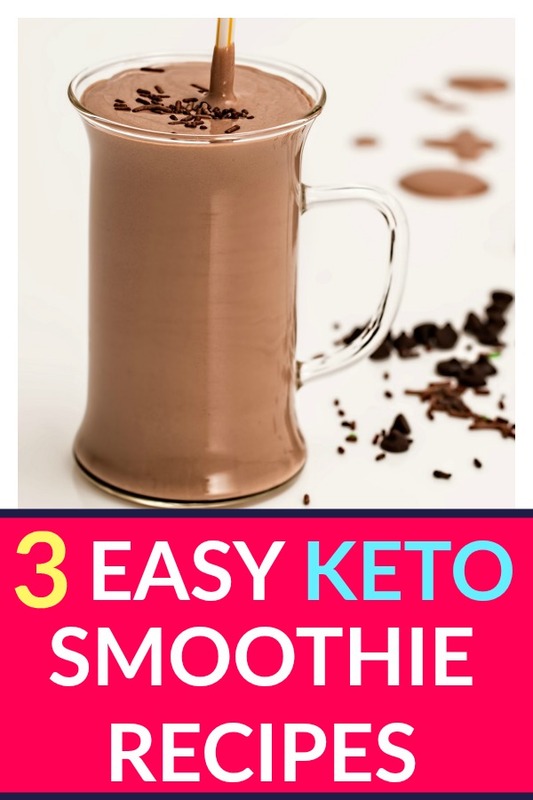 You know what else Keto Smoothies and Shakes would be Great for? A Keto Smoothie or Shake would be fantastic as a post workout mini meal. I’ve told you in post after post that one of these days, I’m going to start exercising. Guys, I just can’t do it. I don’t know what it is about working out that gives me hives (figuratively, not literally), but I can’t get the motivation. If anyone out there has any tips or tricks for getting me to work out, please, for the love of God, send them my way. Perhaps a cattle prod?? Want To Read About My Keto Journey from the Beginning? Keto Breakfast Ideas to Get Your Day Started Right! Bullet Proof Coffee and the Keto Diet – Start Your Morning Right!